Created exclusively for beauty and holistic therapy students studying at levels 1, 2 and 3, this text will help you to fully understand the effects you can have on the different parts of the body when performing beauty and holistic treatments in the salon, at college or at home. 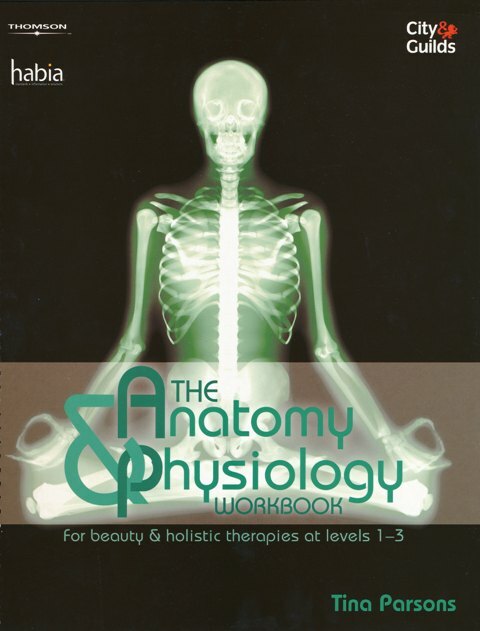 Created exclusively for beauty and holistic therapy students studying at levels 1, 2 and 3, The Anatomy & Physiology Workbook will help you to fully understand the effects you can have on the different parts of the body when performing beauty and holistic treatments in the salon, at college or at home. By helping you to get to grips with the A&P elements of your course, this workbook will help you to help your clients achieve overall health and wellbeing, and even help the body to function better. Written to match the current national occupational standards and using state-of-the-art illustrations, the workbook brings A&P to life and covers exactly what you need to know. Full of fun exercises, tasks and activities for you to complete, The Anatomy & Physiology Workbook breaks down the different systems of the human body into colourful, easy-to-follow, bite-size chunks so you can understand the body better. With plenty of space for you to fill in your answers, colour in, label diagrams, and make notes, everything you do in your workbook can be easily detached and included as portfolio evidence to support your learning at all three levels. The Anatomy & Physiology Workbook provides all the support you will need to succeed as a beauty or holistic therapist, whatever your qualification or mode of study. S/NVQ Beauty Therapy, VTCT Beauty Therapy, City & Guilds Beauty Therapy, ITEC Beauty Therapy, CIBTAC Beauty Therapy, BABTAC Beauty Therapy, EdExcel Beauty Therapy, VTCT Holistic Therapy, VTCT Sports Therapy. 2. The Integumentary System - Skin, Hair and Nails. 6. Circulatory Systems - Blood and Lymph.